Whiskey on the rocks. For some drinkers, that’s their preference. For purists, whiskey should be had straight-up. 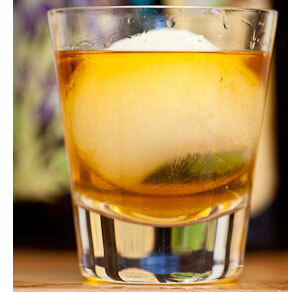 But we imagine both groups could come together and share a drink cooled by a large, impressive-looking ice ball. Indeed, well-to-do Japanese (preferring communalism over conflict) have been drinking whiskey with large ice balls for nearly as long as they’ve been drinking whiskey. Initially the ice balls were carved using an ice pick or, more dangerously, an ultra-sharp sushi knife. 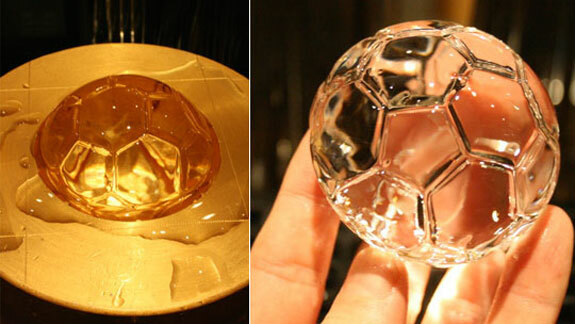 In recent years, though, the Japanese have been using a special ice ball molding machine. 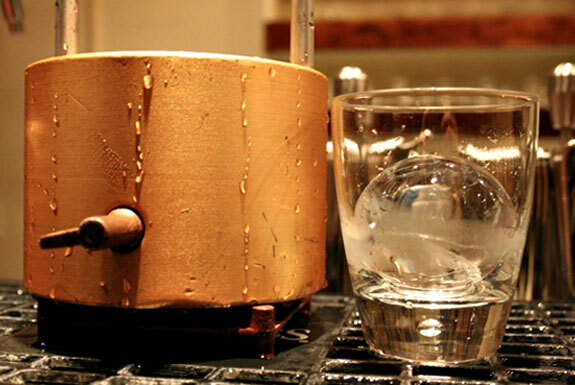 And now, thanks to the cool Japan Trends Shop, you can make ice balls by machine too. How it works is: You prop up the top of the ice ball molding machine, stick a small block of ice between the aluminum sections and then unhinge the top, letting it drop. A few seconds later you’ll have a perfectly shaped ice ball. (The instructions call for the machine to be wetted with warm water immediately before use, though this isn’t strictly necessary). Watch the process unfold in the video, below. What’s especially cool about the ice ball maker is that you can swap in molds of various shapes. Currently diamond, baseball and football (ie. soccer ball) shapes are available. But the ice that’s molded isn’t only decorative. It also produces a higher quality drink. That’s because an ice ball will thoroughly chill a drink but won’t melt—and thus won’t water down your whiskey or soda or whatever—as fast as ice cubes will. The ice ball molding machine comes in six sizes. The smallest size (30mm) is plenty sufficient for home use, which is good because it only costs around US$200; the ice ball molding machine the next size up runs a whopping $1,300. 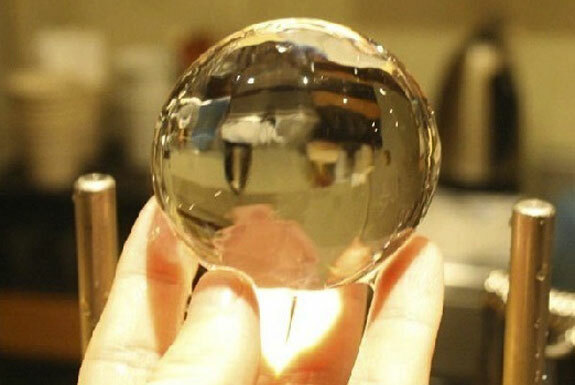 Of course, you can also make your ice balls using Prepara ice ball molds that sell for $13 on Amazon. That would keep your drink just as cold. But it wouldn’t be nearly as cool. Amazing review! Drinkers will appreciate this Very unique balls of ice Great post!